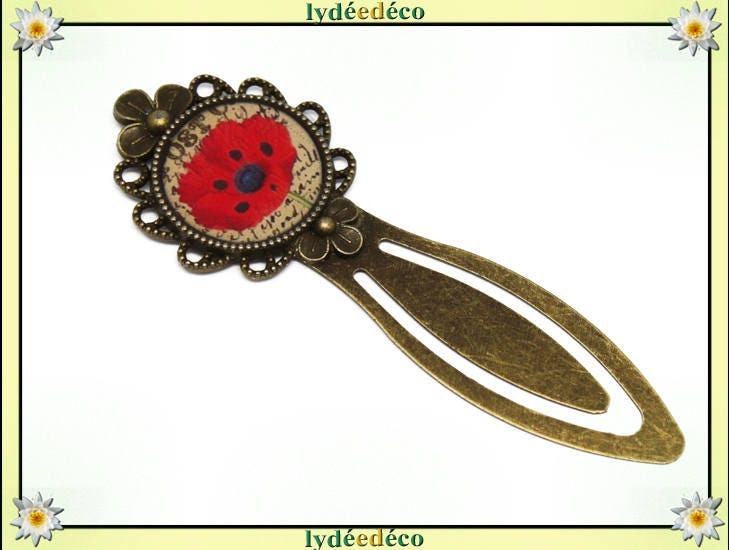 Retro bookmarks Fleur Coquelicot in brass and resin, red black beige bronze. Accessory handmade by Lydée déco. The layout of the pattern may vary slightly. To accompany your readings, giving a gift, and made in France. ☼Les resin bookmarks are available with different illustrations, find them in the shop.